Where is this cafe I need to go there now please. [sees credits] Oh I guess I follow a bunch of these people already, yay. So, this was cute and a fun mechanic and I enjoyed matching people up (and I did learn some new flags I hadn't memorised yet), but it doesn't seem to actually explore the gender spectrum? Everyone seems to be pretty binary. Aaa, the feeling of this is great! I love the hidden/alternate worlds of each person in the village. I couldn't figure out how to open the gate or seem to interact with anything though, is there more of this that I've missed? Very nice! 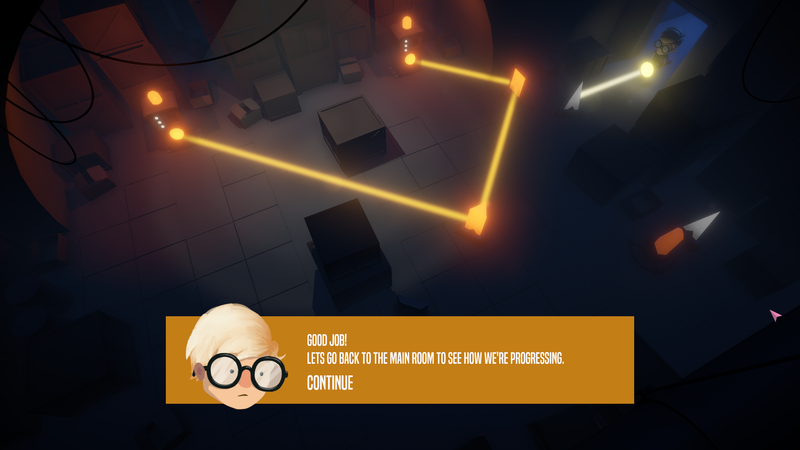 Interesting puzzle mechanic and very polished graphics and audio. Also a fan of that Sir Addlesworth III, although I hope he deserves the honour for serving penguinkind well and it's not just one of those political appointments to please penguin parliament. Got to 93 feeding time fish, thought more would come eventually but it seems the humans have gone away forever now. I have a lot of fish for now (some admittedly stolen from the other penguins) but they will not last forever and I am worried about what will happen when they run out. I hope the humans come back. There's a lot here! I was curious as to where the heat mechanic would go. I was frequently getting a popup with info about my ID badge for some reason, had to open and close the inventory to make it go away again. This looks and sounds amazing, would love more too! Thanks <3! Would you be up for messaging me with your interpretations? I'd love to know what comes through. If you're on Twitter my DMs are open, or are you in the Discord? When I load the page it's saying "Sorry! The shader you are requesting doesn't exist.". I couldn't find it by searching on shadertoy either. Is the game down?